The Arrow Race-Tech exhaust features a unique, diamond shape muffler that is unlike anything else on the market. 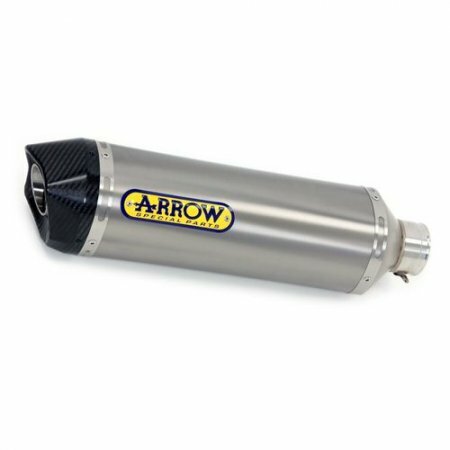 This innovative diamond shape design allows the Arrow Race Tech exhaust to have reduced dimensions compared to traditional shaped exhausts. 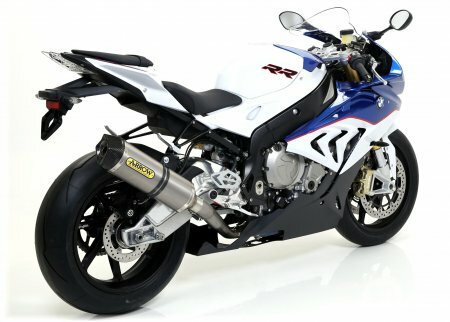 The exhaust also features a significant weight reduction without having to compromise internal volume which would reduce the exhaust note. 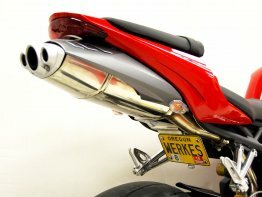 The internals of the exhaust are made of stainless steel and assembly is completed by TIG welding on special jigs. 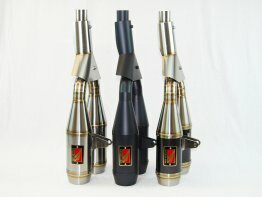 The rear end caps and gas outlet are designed to optimize gas flow and minimize back pressure.